I was exploring the Red Rock Loop Road early in the morning when I came across this beautiful view of Cathedral Rock with row after row of red buttes and mountains fading into the distance. Despite Sedona, Arizona being a crowded tourist attraction for a few minutes I had this "Blue Highway" all to myself, being interrupted by only an early morning jogger. 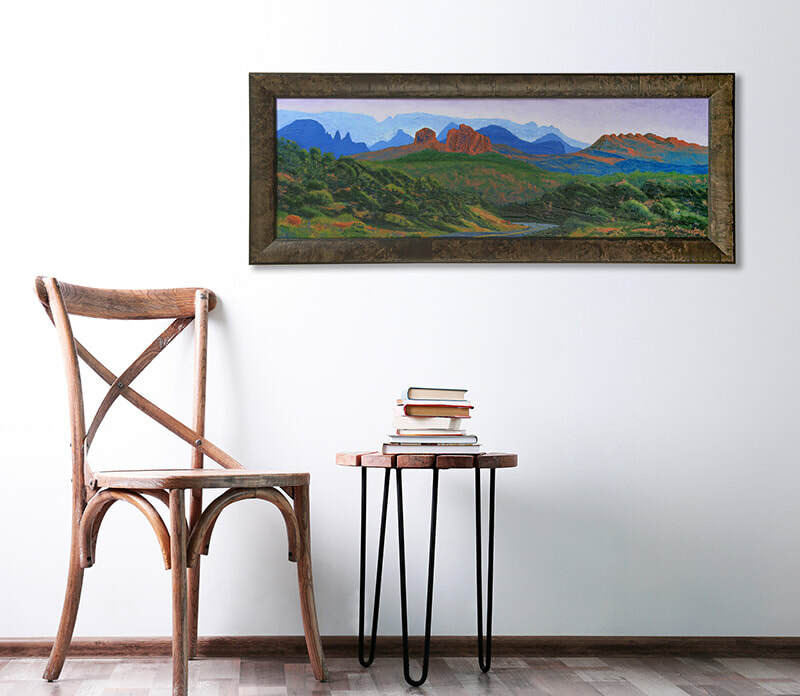 Part of my Blue Highway painting series, Red Rock Loop Road is 12X36 Acrylic on canvas.